We, the undersigned human rights and civil society organizations, urge your government to vote in favor of Resolution A/C.3/72/L.41 on the promotion and protection of human rights in the Islamic Republic of Iran, presented before the Third Committee in the framework of the 72nd session of the United Nations General Assembly (UNGA). By the end of Hassan Rouhani’s first term as president, expectations that his government would enact human rights reforms have not yet materialized. Hassan Rouhani’s recent re-election now reinforces the Iranian authorities’ responsibility to deliver on his electoral promises and take action on long-awaited human rights reforms. This resolution provides an opportunity for the international community to take stock of the positive steps taken recently by Iran, as well as to express serious concern at the many fundamental human rights issues that have remained unaddressed, and call on the Iranian government to abide by its international human rights obligations. Support for this resolution will reaffirm the international community’s core recommendations for how Iranian authorities can best meet their international human rights law obligations. At this session of the UNGA, the Special Rapporteur on the situation of human rights in the Islamic Republic of Iran, Dr. Asma Jahangir, presented her report on a range of laws, policies and practices in the country that continue to seriously undermine the fundamental rights of the people of Iran, by violating the rights to life, freedom from torture, freedoms of expression, association, peaceful assembly, and religion or belief, the right to a fair trial as well as the rights to education, health and work. The Special Rapporteur also exposed systematic patterns of discrimination based on gender, religion or belief, and belonging to an ethnic or linguistic minority. The concerns outlined in this report are a stark reminder of the persistence of chronic human rights challenges that are deeply rooted in Iranian laws, policies, and practices. Indeed, Iran remains amongst the top executioners in the world, and has executed at least 440 people since the start of 2017. In August this year, the parliament approved a long-awaited amendment to the country’s drug law and the Guardian Council subsequently approved it in October. Though the newly amended law has increased the quantity of drugs required to impose a mandatory death sentence, it still retains mandatory death sentences for a wide range of drug-related offenses, contrary to international law. Throughout 2017, the judiciary continued to execute drug offenders at a high rate despite parliamentarians’ call for a moratorium pending the amendment’s approval. While the amendment provides for retroactive applicability, it remains unclear how the authorities intend to commute the death sentences of those already on death row in accordance with the newly amended law. The Iranian authorities have also continued to arbitrarily detain hundreds of individuals for the peaceful exercise of their rights. Among them are human rights defenders including minority activists, environmental rights activists, trade unionists, as well as journalists, political figures, online media workers arbitrarily detained for exercising their rights to freedom of expression, association, and religion or belief. Persecution and judicial harassment of media workers have included a ban on financial transactions in Iran for 152 current and former British Broadcasting Corporation (BBC) Persian Service journalists working abroad and the harassment of their family members residing in Iran. In the past year, Iran has failed to seize opportunities to cooperate meaningfully with UN human rights mechanisms in order to address these challenges. The country has continued to deny independent monitoring from key human rights experts. Notwithstanding Iran’s 2002 standing invitation to the United Nations’ Special Procedures, and despite their numerous and repeated requests to visit the country, none of the 10 thematic mandate-holders who have sent a visit request have accessed the country for the past 12 years. This is also the case of the two successive country rapporteurs. Additionally, according to the UN High Commissioner for Human Rights, Mr. Zeid Ra’ad Al Hussein, the Office of the High Commissioner’s “offers to begin a technical dialogue on the death penalty have been systematically overlooked, as have all other proposals of engagement.” The recent High Level Political Forum was another missed opportunity as Iran eventually withdrew its participation in the Voluntary National Review of the state’s efforts to reach the Sustainable Development Goals. Iran has largely failed to engage in substantive efforts to implement recommendations made to it by the treaty-bodies during recent reviews. As an example, since Iran participated in its review by the UN Committee on the Rights of the Child in January 2016, the Special Rapporteur on human rights in Iran has reported that at least nine juvenile offenders have been executed in the country, despite the Committee and other UN bodies’ repeated condemnations of Iran’s continued practice of sentencing to death and executing juvenile offenders. Iran has also made little progress on recommendations it voluntarily adopted during the second cycle of the Universal Periodic Review. This lack of openness to and engagement with UN bodies is aggravated by the fact that the Iranian authorities have systematically worked to undermine the efforts of Iranian civil society to promote and protect human rights in Iran. Civil society monitoring, reporting and human rights advocacy are routinely stifled. 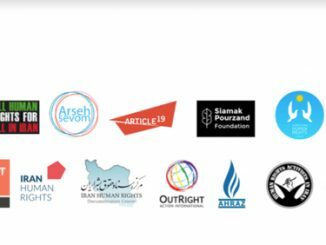 The Iranian authorities have also engaged in intimidation and reprisals against human rights defenders who have interacted with UN human rights mechanisms and international organizations. The continued attention of the international community is required at this time if Iran is to end this pattern of abuse and noncooperation. By voting in favor of this resolution, the UN General Assembly will send a strong signal to the Iranian authorities that the international community looks to see genuine human rights improvements in the country in line with Iran’s treaty obligations and voluntary pledges.